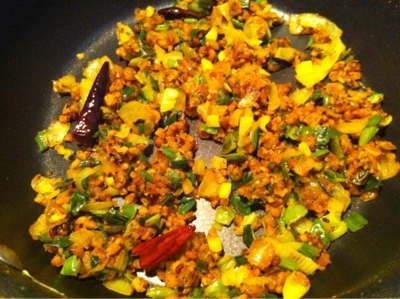 Few days back when I visited Vimitha anad's blog "My culinary trial room" I found this amazign recipe. It is very simple and I love this curry due to a very special reason that I always dump the leftover spring onions every time I bought it, now I know how wonderful recipes can be made from scrach as well. 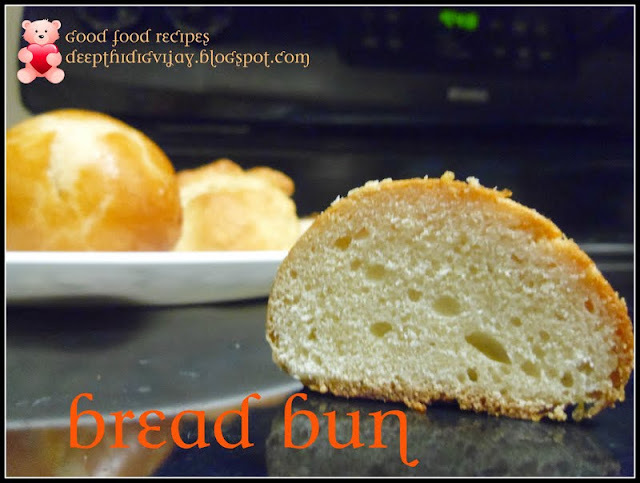 This recipe is very simple and it tastes wonderful with pulka/roti. I just fell in love with this curry by tasting it just one time. Hope you will like it too! Heat 2tbsp of oil in a pan and add mustard seeds, cumin seeds and when they start splattering add red chili and onion. When the onion turn transperant, add ginger garlic paste, turmeric and when the mixture leaves the raw smell. Add Spring onion and they will cook in 5min under medium flame., when they are done add red chili powder, salt and mix well. Finally add gram flour and mix well. cook for 2min under slow flame. Garnish with cilantro if you wish. Serve hot with roti or it goes well with rice too! hope you like my recipe please leave your valuable commets!!!! Nice stir fry with spring onions and besan. this is one of my fav veg. so yummy! Even I read the post at Vimitha's, you have done it very well..
Thnak you all! :) Please come back again and again!